I have said before that in my travels to Palestine, one of the lessons I have learned is that it is possible to be homesick for somewhere you have never lived. I recently saw a comment by another activist who said “Palestine is like an incurable virus that gets into your blood.” It is one of those intangible things that you have to experience to really understand. Some might even say it is a past life memory – I don’t know about that, but what I do know is that it feels like home. I have also said that I feel a sense of guilt because it is easy, at least relatively, for me to travel to Palestine. I definitely have to plan around concerns about how security will treat me and each time I go I am a little more nervous that they will decide I don’t need to come back. However, that is nothing compared to the struggles experienced by my friends who, by rights should be able to travel there freely, but can’t just because of their Palestinian heritage. It is not just that it is difficult for them, for some it is not possible at all. It depends on “what kind of Palestinian” they are. If you are Palestinian with Israeli citizenship you can travel abroad and return, just like any other Israeli. Well, not exactly. You may be subjected to increased interrogation by security upon arriving and/or departing. The one thing Israeli security is open about is its policy of racial profiling. The same is true if you are a Palestinian who, because your family was expelled in 1948 and became citizens of another country, never received Palestinian ID. In that case you can travel to Israel on your foreign passport, American, Canadian etc. However, because you are Palestinian with a connection to the lands that became Israel, you should be prepared to spend some ”quality” time with the “welcoming committee”. If you are a Palestinian from Gaza or the West Bank, well visiting within Israel is pretty much not happening…. And they are certainly not able to fly through the Ben Gurion airport (they have to exit through Jordan). Recently when I was talking with my friend from the Al Bassa community in Lansing, he told me about a group of Canadian ‘Bassawis’ who traveled for the first time to their native village of Al Bassa in what is now Israel. (Earlier in the year I posted Nimer’s story of the events of 1948 that resulted in the expulsion of the villagers of Al Bassa.) I contacted a couple of the women from the group to ask them how they experienced the trip. Helene is 27 and Rolla is 24. Both were born in Kuwait and moved to Canada when they were toddlers. Although they never lived in Al Bassa, they both expressed an immediate connection to the land of their ancestors. Rolla - This trip was amazing as it gave me the opportunity to see first-hand where my family comes from. I felt bittersweet - happy, because I finally got to see the beautiful country. Sad - because not a lot of Palestinians will ever get to see what I saw, including those in the West Bank or Gaza. Also a bit angry to see what my people have been stripped of, and robbed. I have never seen or smelled such breathtaking things. 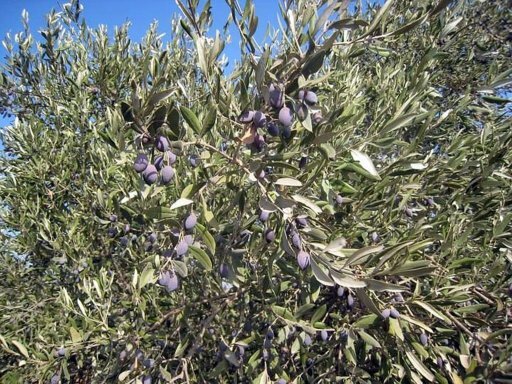 The olive trees, countless mountains and hills, lush green forests. The Palestinian people, especially from the Al Bassa community that still live in Palestine were so humble and welcoming. The food tasted sweeter there. The sun was warmer there. They each recounted their experience with Israeli security on arriving at Ben Gurion Airport. After a 13 hour flight, they endured a seven hour interrogation because they are Palestinian. Helene - The issue that stuck out for me the most was being held in the airport for 7 hours upon arrival in Tel Aviv. This unnecessary prolonged and repetitive interrogation was quite ridiculous. I could understand wanting to protect everyone and keep the place safe, but extensive interrogation towards people of Arab descent was clearly biased, unprovoked, and the epitome of discrimination. It almost felt like the authorities were trying to deter us or other people like us (Palestinians) from returning to visit - even if they are Canadian, even if they are simply there to visit the holy land and the land of their ancestors, with no political agendas - as we were. I will never forget how frustrated our travel group was after a 13 hour flight, to be put through over 7 hours of interrogation simply because we were of Palestinian descent. Both also spoke of their profound sadness, (although joy as well) to visit the Albassa church, which is the only remaining building of the village, and it too is being lost to time and vandalism. Helene - I could almost feel the presence of the people that used to live there before they were exiled. Standing in the beat down church, I almost started crying, knowing that my grandparents and great grandparents probably used to pray in the very same church of their village, a church now in shambles - a church that has been abused time and time again by disrespecting Jews. While at the church, Helene took some soil from the ground to bring home with her - to “bring home, back home”. Her grandmother, who always yearned to return to Al Bassa, died several years ago. She had not been able to return, so Helen brought something of Al Bassa back to her grandmother by sprinkling some of that dirt on her grave. I recently learned that the home my parents built and we lived in during my high school years has been torn down and replaced with a new home. I certainly can not say that it held the same connection for me that the Al Bassa church has for these women, but I did feel a small pang of loss – like a touch stone had disappeared. I can only imagine the sense of loss for Helen, Rolla and the others from Al Bassa. And, I know that if tomorrow I was told I could not return to Palestine, it would break my heart. Now that I am not working, what was somewhat of a fantasy, can actually happen (although my parents seemed to think that because I lost my job, I would not be going); and I am preparing for my next trip to Palestine & Israel - this time for three months. Those words - three months - echo in my head - though I know in reality, it really isn't much time at all. The reality of it does bring a strong case of the butterflies; there are so many what ifs....what about school, where will I stay, who will I see, what will I do - can I do this? Not to mention, I will be there over Christmas. So, yeah, I am nervous - but in such a good way. Anyone that knows me, I think even superficially, knows how affected I have been by my time in Palestine. I was speaking to a friend the other day, whom happens to be gay. I spoke of my discomfort around people that cannot accept my passion for Palestine as an important part of me and their judgments of me because of it (of course I have been told I support terrorists and will go to hell). I found myself saying that my feelings for Palestine were as much a part of who I am, as being gay is a part of him. I wasn't making light of his experience but making the point that Palestine is at the core of me. I did not choose this, and it does inform who I am and many of the decisions I do make. Paraphrasing the words of Parker Palmer - it is the life that wants to speak through me. Planning for this trip is already proving to be a test; and patience seems to be the life lesson I am working on these days. I want to be able to tell people that when I go to Palestine this time, I will be doing ________. Especially now that I am at the point where I need to get serious about fund raising, and people want to know why.... But, I am frequently reminded that a different sense of time exists over there - "Oh, we don't plan that far in advance here". Of course I will be participating in the olive harvest as before, but this time I will be able to follow it into November as it moves north. That part will take care of itself - the challenge is what I will do after the harvest. More and more I feel myself gravitating toward the issues facing the Palestinians living inside Israel. While I was in Galilee last year, I was struck by a semi-hidden 'Jim Crow' system that exists in Israel and I realized that, in many ways, it is harder for these "forgotten Palestinians" to tell their stories. When I tell activists abroad or in the West Bank and Gaza that I work for a Palestinian NGO in Nazareth I often get a similar reaction: a half-disappointed look crosses their faces as they say “Oh, in Israel, you mean.” The one million Palestinians living inside Israel are labeled and classified in a box by the Israeli state as “Israeli Arabs.” The disturbing fact is that many people who claim to support Palestinian rights, both foreigners and Palestinians, do precisely the same thing. Even I, when I began thinking I would spend a good share of my time in Galilee, have felt a bit like I was "cheating". The West Bank, after all, is where I first discovered my love for Palestine. Every time though, that I think I have found "the thing" I will do, an obstacle arises. One organization that looked interesting is a Palestinian NGO in the Galilee that is working on environmental education. However, when I tried to contact them, none of the email addresses on their website were functioning. The only organization so far that is a concrete possibility is a mixed school in the village of Sakhnin. But a friend in the West Bank told me that it does not have a good reputation amongst rights oriented Palestinian NGOs; that it is more of an opportunity for some to say "look how nice this is - we all get along" without really addressing the core issues. Then I learned it is actually in a settlement, and I think that is a deal breaker for me.